This blossom may not be able to turn water into wine but it will be sure to turn heads at your next big occasion. 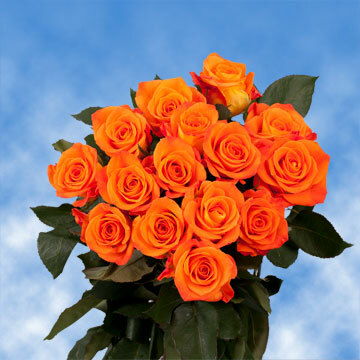 The Miracle Rose is an Orange Rose that has a marvelous fully star shape bloom. 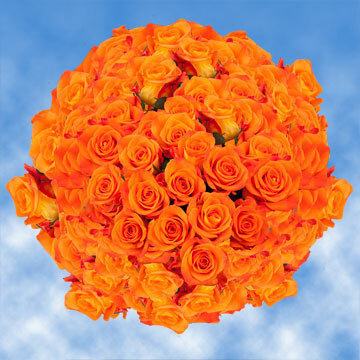 Orange has been a symbol of fascination and congratulations making them a perfect match for that recent crush. 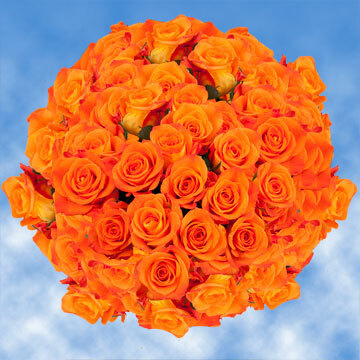 Well suited for fall events, It will add splendor to Thanksgiving dinners and Halloween Parties thanks to their festive color. May not be able to perform many miracles other than wowing your guests with their sensational beauty. Our blossoms are fresh cut and will need a minimum of two to three days to fully bloom into their magnificent bell shape. 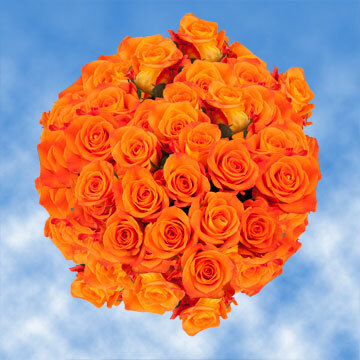 If you need your bundle to be completely blossomed please place your order two to three days in advance so that they will have enough time to bud. 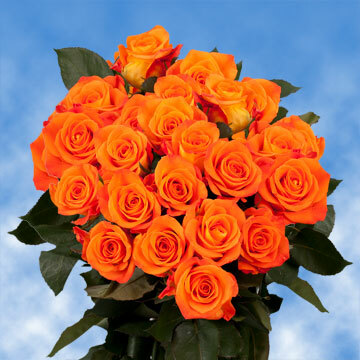 All of Globalrose's florets are grown in our state of the art greenhouses located in some of Colombia's most sun drenched spots. 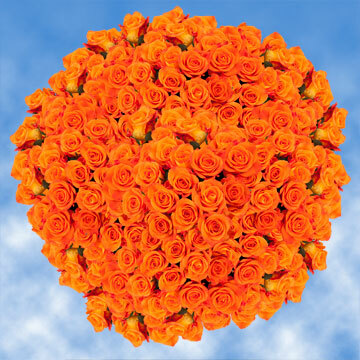 We have chosen these locales in order to allow USA the ability to grow the Orange Rose all year round. Our facilities also practice Green procedures to protect Mother Nature. FedEx is our exclusive courier and delivers all from our facilities to your doorstep and if you are a continental USA customer you are in luck because shipping is free!